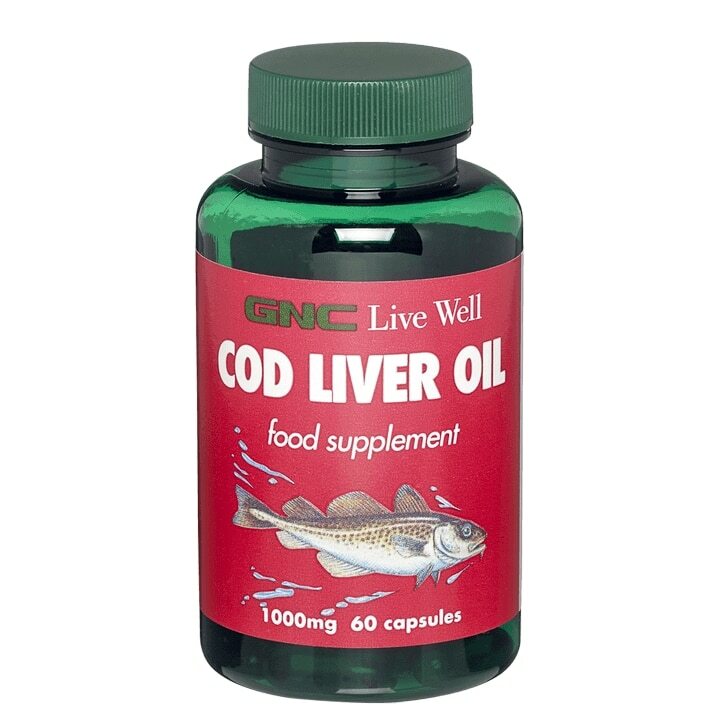 Cod Liver Oil has been used for decades as a health way to get essential fats into the diet. Today we know that it is high in omega 3 fatty acids, and therefore helps us balance out our intake of omega 3, 6 and 9 fats. A good quality cod liver oil like ours is an excellent source of vitamins A and D. VItamin A supports the immune system, and contributes to the maintenance of normal skin, and vitamin D helps support muscle function. Take one capsule daily, preferably with a meal. Do not exceed recommended dose. Cod Liver Oil (Fish) (source of Vitamins A and D), Capsule Shell (Modified Corn Starch, Glycerol, Carrageenan, Sodium Carbonate), Vitamin A (as Retinyl Palmitate), Vitamin D3. No Artificial Colours, Flavours or Sweeteners. No Preservatives. No added Sugar or Salt. No Milk, No Lactose, No Soya, No Gluten, No Wheat, No Yeast, No Porcine. Food Supplements must not be used as a substitute for a varied and balanced diet and a healthy lifestyle. If you are pregnant, breastfeeding, taking any medications or under medical supervision, please consult a doctor or healthcare professional before use. Discontinue use and consult a doctor if adverse reactions occur. Pregnant women: Do not take this product if you are pregnant or likely to become pregnant. Pregnant women should not supplement with more than 800μg (2,664 I.U.) pre-formed Vitamin A daily except on the advice of a doctor or ante-natal clinic. All supplements containing Vitamin A (pre-formed Retinol) are best avoided by those who regularly eat liver and products made from liver. Keep out of reach of children. Do not use if seal under cap is broken or missing.